Recently the government has made Aadhaar mandatory for filing income tax returns and provided for linking of PAN with Aadhaar to curb tax evasion through use of multiple PAN cards by introducing an amendment to the tax proposals in the Finance Bill of the Budget for 2017-18. Recently the government has made Aadhaar mandatory for filing income tax returns and provided for linking of PAN with Aadhaar to curb tax evasion through the use of multiple PAN cards by introducing an amendment to the tax proposals in the Finance Bill of the Budget for 2017-18. 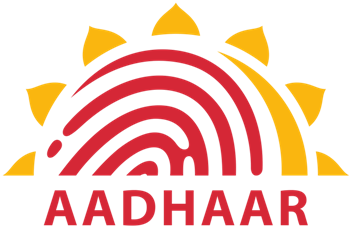 Supreme Court has questioned the Centre for making Aadhaar mandatory for procuring Permanent Account Number (PAN) card and has set the date April 25 for further hearing on the matter. Aadhaar is a 12-digit unique identity number issued to all Indian residents based on their biometric and demographic data issued by Unique Identification Authority of India (UIDAI); whereas, Permanent Account Number (PAN) is a code that acts as an identification for Indian nationals, especially those who pay Income Tax. The PAN number is a unique, 10-character alphanumeric identifier, issued to all judicial entities identifiable under the Indian Income Tax Act, 1961. It can be done by logging-in into the Income tax department’s e-filing portal (https://incometaxindiaefiling.gov.in/). There is also no requirement to visit the Income tax department to link the Aadhaar with PAN.